This is a time of great challenges and opportunities in Toronto. The urban affordability crisis is an ever-growing threat not only to culture but to the sustainability of our city. Digital disruption is dramatically transforming art, life and business creating new opportunities for some but making work life more precarious for many others including artists. Notwithstanding these challenges, there is greater appreciation than ever of the value of creative placemaking and opportunities for Artscape to scale up our efforts abound. To respond to these new realities, Artscape has become an increasingly complex organization managing and developing multiple facilities, serving thousands of stakeholders and operating many different types of programs, services and lines of business. We hope this report helps shed light on the full scope of work we are engaged in and how it fits into our plans for the future. In 2017, Artscape embarked on an ambitious new Strategic Plan: Artscape 5.0 focused on: cultivating thriving communities; serving more people and communities and building organizational resilience. This plan will guide our work and priorities over the next five years and provide the framework for reporting back to our stakeholders on the progress we are making. This plan was approved in the Fall of 2017 and you will see in this report that we have hit the ground running. Key accomplishments by year’s end included: launching the Thriving Artists Initiative; working to ensure our existing projects remain shining examples of creative placemaking; advancing multiple new projects; and strengthening our organizational structure and policies to lay the foundation for future growth. We are proud of the work we have accomplished to ensure that arts and culture continue to flourish in our city and thank the many dedicated volunteers and hardworking staff who are making it possible for us to do so. We look forward to working with you to foster more inclusive growth and ensure that artists and communities across the city are able to thrive. Artscape is committed to building a world that engages artists, culture and creativity as catalysts for community vibrancy, sustainability, prosperity and inclusiveness. Our community cultural hubs located in neighbourhoods across the city come alive on a daily basis with arts and community programming and culturally enriching events and activities, making them a gathering place for thousands of people annually. Artscape provides below market residential space for practicing artists to rent or own within the city to help make it affordable for creative people to remain in Toronto and contribute to the beauty, vibrancy and quality of life that makes it an internationally recognized attractive place to live, work and play. *Analysis based on comparison of comparable Class B spaces using Colliers data. As part of Artscape’s work, we operate several five unique performance and event venues, located within our community cultural hubs, for artists and the public to rent for a variety of functions. Revenues we receive from this social enterprise help support artists in Artscape communities and provide community access to arts programming, events and activities. Taking creative placemaking from the margins to the mainstream. A major part of Artscape’s work in 2017 involved shaping our plan for the next five years. In October 2017, we unveiled a bold new vision for our future, which builds on our history and evolution as an organization dedicated to making space for culture and transforming communities, with the release of Artscape 5.0, our new five-year strategic plan. Artscape will create greater opportunities and resources for thousands of artists in the Greater Toronto and Hamilton Area (GTHA) and strengthen the communities around them through our new and existing creative placemaking projects, more affordable housing for artists and artist-led families, and a new model of support for professional artists, designers and creators. In crafting Artscape 5.0, we reached beyond a “business as usual” approach to respond to the scale and urgency of the affordability crisis affecting artists today. Our major focus over the next five years will be to mainstream creative placemaking in Toronto and elsewhere and help build cities that are inclusive of arts and culture. This plan also details our Thriving Artists Initiative, an evolving set of programs, services and strategies aimed at increasing revenue-generating opportunities for creative people and helping them to access resources and make new connections. At the heart of the Thriving Artists Initiative is Artscape’s ongoing commitment to help artists thrive in today’s digitally disrupted, global economy. At Artscape, we believe that thriving artists help build thriving communities. Our team is deeply committed to finding new ways to enhance this mutually beneficial relationship. Affordable space for creators is a key part of the equation but a great deal more is required for artists and communities to truly thrive. Below are some highlights from our work in cultivating thriving communities in 2017. In 2017, we announced plans to scale up our efforts on affordable housing. Given the affordability crisis in almost every major city around the world, not surprisingly, artists are finding it increasingly difficult to find affordable, appropriate space to live and work in Toronto. Affordable housing is essential to artists facing lower than average incomes typical of a career in the cultural sector. Thanks to innovative partnerships with the City of Toronto, Artscape is able to provide affordable housing in the form of rental live/work studios for artists and their families. We also provided affordable performance and event venue space to hundreds of artists and arts and cultural organizations. Artscape Gibraltar Point continued to be a draw in 2017, welcoming nearly 400 artists, writers and musicians via our self-directed and thematic residency programs. Participants visited from every continent, excluding the Antarctic! We were also pleased to welcome as our inaugural Artist in Residence at Daniels Spectrum artist and scholar Syrus Marcus Ware. Our Hallway Galleries at Artscape Youngplace and Daniels Spectrum, both programs of the Toronto Artscape Foundation, as well as our community gallery at Artscape Wychwood Barns, featured 36 exhibitions, showcasing the work of dozens of diverse contemporary artists. Painter Katrina Jurjans won the Artscape Award at the Toronto Outdoor Art Exhibition, granting her residency time and gallery space. Her exhibition “for a moment it all comes together (and you’re the only one)” opened in November at Artscape Youngplace. Through the generous support of the Toronto Artscape Foundation, the Ada Slaight Youth Arts Mentorship Program at Daniels Spectrum celebrated its fifth year in operation in 2017, having welcomed 50 participants to-date. The community arts program empowers young artists to develop and deepen their creative practice. In 2017, 10 program participants worked over a period of five months with artists as well as talented mentors from their chosen artistic fields, to mount a spectacular community showcase. In 2017, Artscape released the results of a census of tenants and owners conducted in the fall of 2016. The census helps identify what is working, areas for improvement at Artscape, as well as broader issues and trends that affect artists ability to thrive. Artscape expanded and renewed the purpose of the Artscape Communities Advisory Committee, a committee made up of board members, tenants and owners that recommends changes to tenant/owner policy and programs. One of the key initiatives of the ACAC in 2017 was developing the Thriving Artists Initiative that will expand the benefits Artscape will provide to artists under its new strategic plan. In 2017, property taxes had been on the rise for several years, due to rapidly increasing land values. Organizations operating creative spaces, along with their artist and non-profit tenants, raised the alarm that property tax bills were threatening the survival of their facilities. Together with our peer organizations, Artscape launched an advocacy campaign to advance a solution to this issue. Our proposal for a new tax subclass met with support from the Province and Toronto City Council. An estimated 500,000+ people stepped through our doors to participate in events, activities and celebrations. In 2017, we were pleased to provide space to the Scotiabank CONTACT Photography Festival, the Toronto International Film Festival, Toronto Design Offsite Festival, Summerworks, Toronto Fringe and Nuit Blanche within Artscape venues. At Artscape Youngplace, we welcomed hundreds of visitors to RECESS, our free annual community event. The Toronto Artscape Foundation’s Summer Series program at Daniels Spectrum supported nine community partner organizations to host 29 cultural events with over 6,200 attendees, including the first-ever Youth Pow Wow in Regent Park. Encourage an effective mix of programs, services and tools to support the capacity building needs of a range of artists. In 2017, Artscape increased its in-house capacity to respond more efficiently to maintenance issues, identify future building priorities, and plan for the long-term stewardship of all of its projects. This culminated in the adoption of an Asset Management Strategy for all facilities operated by Artscape. One of Artscape’s oldest cultural community hubs Parkdale Arts and Cultural Centre celebrated its 20th year in 2017. Through requesting a long-term lease for this property, Artscape sparked a conversation on how the City could better use local assets to serve current and future community needs. Artscape worked with the tenants of Parkdale Arts and Cultural Centre, as well as fellow Parkdale organizations to provide input into a coordinated City process to explore how this site and several adjacent publicly-owned properties could address housing and community cultural space needs in one of Toronto’s most diverse neighbourhoods. Artscape Wychwood Barns welcomed two new tenants to its community, Owlware and Solar Stage. The Peter MacKendrick Community Gallery was active throughout the year hosting a number of exhibitions that included two tenant art shows. The Wychwood Barns Community Association also hosted a number of events, carrying on well-known and important traditions like its annual Halloween event, Boo at the Barns. Last year, we developed a new website for Artscape Distillery Studios to showcase the artists and arts and community organizations who work within this vibrant community and historic site on Toronto’s downtown east side. Last spring, we experienced major flooding at Artscape Gibraltar Point on the Toronto Islands that essentially shut down operations for most of the summer. This situation was not only a call to arms, but a call to action. The team worked tirelessly together to save the building and survive the flood without going into deficit. As part of our Strategic Plan – Artscape 5.0, over the next five years Artscape will be focused on expanding its reach to make space for and provide support to more artists, as well as on creating more liveable communities through our creative placemaking practice. In 2017, Artscape had four new projects under construction, one of which advanced our goal of developing community cultural hubs to serve neighbourhoods outside of Toronto’s downtown core. We also engaged in planning to refocus and build on our role as an innovator in creative placemaking, both locally and as a key contributor to the global creative placemaking movement. Together with our development partner The Daniels Corporation, work continued in 2017 on the development of our newest and most exciting project, Artscape Daniels Launchpad. Set to open in November 2018, it is an idea that has evolved over 12 years of research and consultation, Artscape Daniels Launchpad will be a new model for creative collaboration and entrepreneurship. Launchpad is creating a community where emerging and established artists, designers and creators, who believe they are capable of more, can succeed like never before. This first-of-its-kind hub for entrepreneurs from a broad spectrum of creative disciplines will offer unparalleled access to a diverse, concentrated community of creative collaborators, coaches and mentors. This community will be housed within a fully equipped 30,000 sq. ft. facility merging co-working and creative production space with entrepreneurship skills development, business connections and opportunity. In April 2017, we were pleased to announce the naming of Artscape Daniels Launchpad in recognition of the outstanding financial support of The Daniels Corporation and the John and Myrna Daniels Foundation, as well as thank other funders and supporters for their contributions of $21.4 million in capital and program funding for Launchpad. Through this project, Artscape’s first community cultural hub outside of the downtown core, we are excited to be expanding our reach to serve more artists and communities. 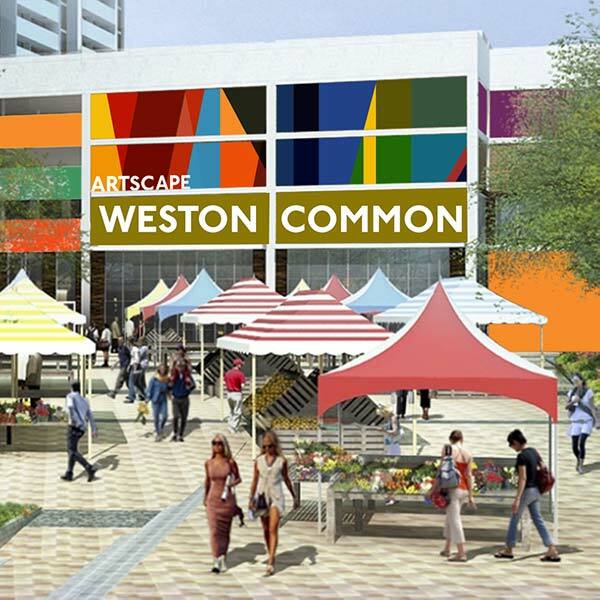 Artscape Weston Common is being developed in partnership with The Rockport Group and the City of Toronto as part of a community revitalization initiative spearheaded by Councillor Francis Nunziata and other community leaders. Artscape Weston Common will create space for artists and arts organizations, including program partners, UrbanArts and Shakespeare in Action and 26 affordable live/work studios for artists and their families, plus provide indoor and outdoor community programing spaces for year-round community and cultural events. a vibrant creative community that stimulates economic revitalization and builds community pride and confidence. 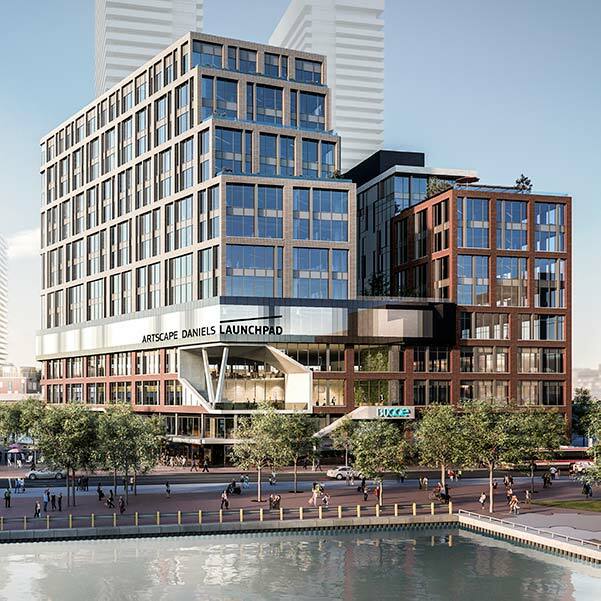 In partnership with the City of Toronto, Hines Management Company, Tridel Corporation and Waterfront Toronto, Artscape is developing 80 live/work rental homes for artists and their families. 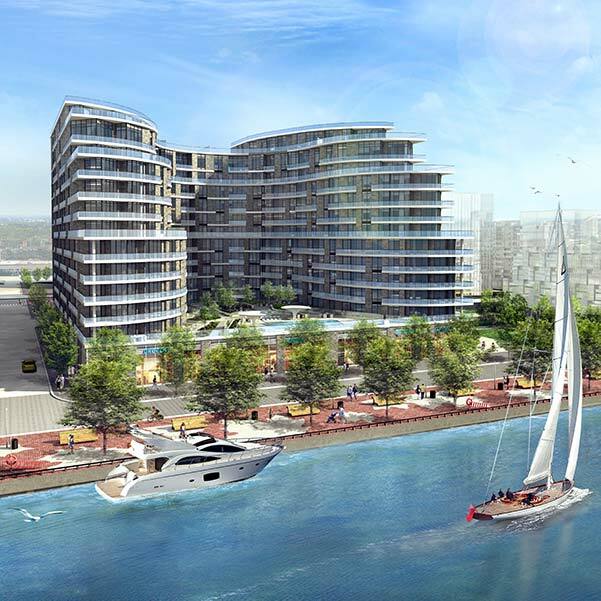 Located in the East Bayfront District within a larger condo development built to LEED™ Gold standards, these affordable homes are offered at below-market rates exclusively for artists, thanks to an agreement with City of Toronto’s Affordable Housing Office. They are designated for as long as the units exist. 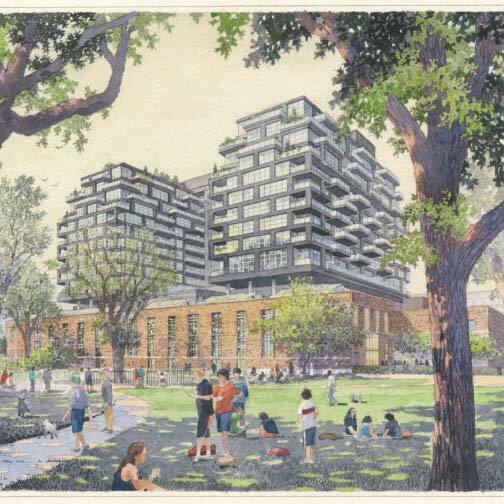 Artscape has also partnered with Build Toronto, City of Toronto, MOD Developments, Woodcliffe Landmark Properties to build 15 housing units for artists and their families within an innovative mixed-use development that is revitalizing an historic building in downtown Toronto. The development includes 299 housing units in total, plus a new YMCA, public food hall and space for community organization Eva’s Initiatives for Homeless Youth. An integral piece of Artscape’s work is to support creative people to thrive through a variety of tools and resources. Our newest project, Artscape Daniels Launchpad has creative entrepreneurship development as its focus. In 2017, Launchpad was already empowering hundreds of emerging and established artists, designers and creators seeking to grow their creative practices into thriving businesses through its Creative Entrepreneurship Programs.These programs ranged from intensive entrepreneurial skills and tools development, to condensed programs like the Creative Business Design program, to three-hour workshops examining common creative entrepreneurship challenges. Programs were also offered to youth and new Canadians. In 2017, The World Cities Culture Forum (WCCF) engaged Artscape as an advisor on solutions to the growing affordability crisis for artists worldwide. The WCCF has recognized the affordability crisis as one of the biggest challenges to culture in global cities. Through Artscape’s Creative Placemaking Lab, we began work with the WCCF to help address this crisis on a global scale, by building knowledge about what the ecosystems of healthy cultural facilities look like and developing a toolkit of policies, strategies and approaches to create environment that enables and supports the creation of these facilities. Artscape’s CEO, Tim Jones met with and presented on this topic to other cultural leaders from across the globe in Singapore last fall, as well as providing the Introduction to the WCCF’s new handbook for city culture leaders, Making Space for Culture. In 2016, Artscape was engaged by the development partners of The Bentway to incubate The Bentway Conservancy, a new non-profit organization set up to manage, operate and program The Bentway. Through its Creative Placemaking Lab, Artscape worked for 18 months on this project to deliver planning, project management and operational support, contributing to The Bentway’s staffing and successful start-up. This unique outdoor cultural space for Toronto residents and visitors, located under the city’s west Gardiner Expressway, was launched in January 2018, and is now providing vibrant spaces for art exhibits, concerts and other cultural attractions. In 2017, Artscape continued to incubate an independent affiliate, BC Artscape, helping the organization secure its first location for a community cultural hub, a 49,000 sq. ft. space in Vancouver’s downtown Chinatown opening in 2018. 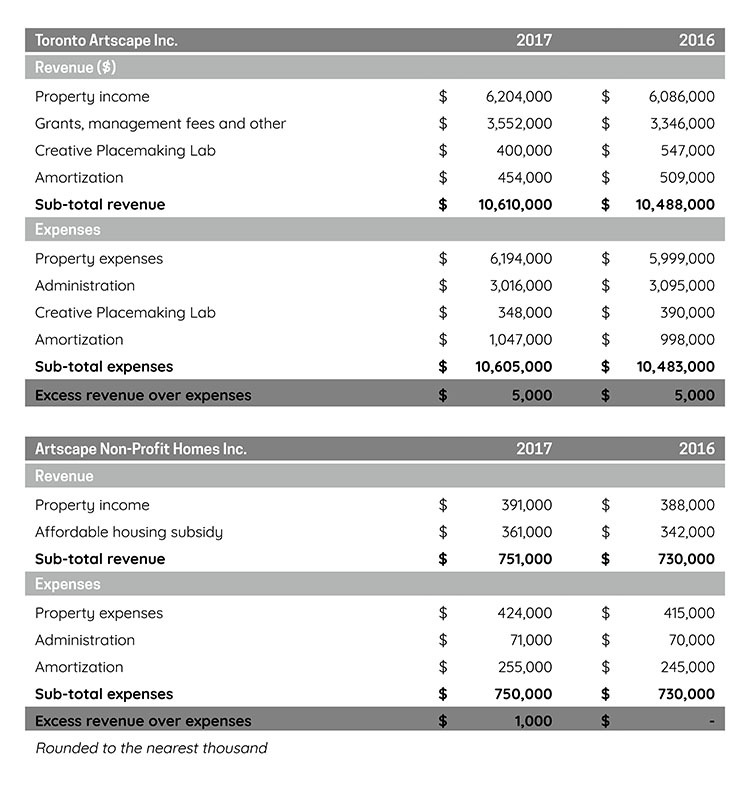 For every $1 Toronto invests in its arts, the city brings back $8.26 in earned revenue. In 2017, we undertook a review of our organizational structure, with particular focus on our hubs and performance and event venues structure, to find efficiencies and reorganize our team to enable us to work smarter and achieve more. We also made it a priority to adopt and/or renew 12 organizational policies that included: an HR plan, anti-bullying & harassment policy, procurement policy and travel & expense policies. Artscape heard from community members and events clients alike that booking our venues was confusing and cumbersome. We responded by implementing a one-stop shop model aimed at improving customer service, better matching people’s cultural goals and events with our spaces, and strengthening the ability of our event venues to function as sound enterprises. Artscape’s portfolio of creative spaces for artists and arts organizations is an eclectic mix of non-traditional, mixed-use buildings, including some heritage structures. In 2017, we completed work on a robust Asset Management Strategy, which will be implemented in 2018 and beyond, to ensure that maintenance, repair and capital investments achieve improved building conditions and support the long-term sustainability of our projects. As part of our plan, we adopted the industry standard of the Facility Condition Index, as detailed in our current Strategic Plan (Artscape 5.0, page 12). Learn more about our commitments as a landlord and property manager. Last year, Artscape conducted surveys for our board and staff to measure satisfaction and assess and make change. We found that 74% of Board and staff members were satisfied with their work with Artscape. Artscape is grateful to the following government bodies at all levels, corporations and individuals who provided support to Artscape’s initiatives and programs between January 1 and December 31, 2017. 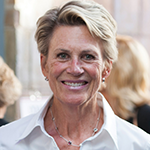 Many generous foundations, organizations and individuals provided support to Toronto Artscape Foundation a separate and related organization. Their contributions are detailed in an annual report of Toronto Artscape Foundation. We salute our senior-level volunteers for their invaluable efforts and generous contributions of time, insight and energy toward advancing our organization. Robert J. 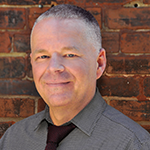 Foster, President & CEO, Capital Canada Ltd.
Joint Committees of Toronto Artscape Inc. and Artscape Non-Profit Homes Inc.
Mark Guslits, Chair, Artscape, Non-Profit Homes Inc. In 2017, we recruited 10 new participants for our 12-member Community Advisory Committee (ACAC), a sub-committee of the Toronto Artscape Inc. Board of Directors, to champion Artscape’s initiatives to create the conditions for tenants and owners to thrive. Ross McGregor, Founder and former Chair and CEO, Ketchum Canada Inc.
Artscape acknowledges and thanks our growing group of passionate and dedicated full- and part-time staff for their work in 2017. They offer support and services to the tenants, owners and members living and working within our spaces; operate our Performance and Event Venue spaces; support the construction of our real estate projects; and ensure that our community cultural hubs remain vibrant, creative community gathering places that welcome thousands of Toronto residents annually.